This post is part of our ongoing series examining Protestant Reactions to Vatican II. 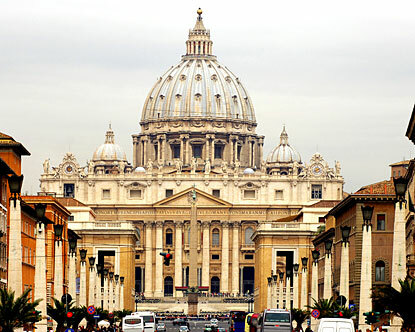 Another facet of the Second Vatican Council that has garnered a variety of responses from Protestant Christians involves those documents discussing the relationship between the Roman Catholic Church and other Christian Churches. While not universally affirmed, the general perspective of Protestant scholars on this issue has affirmed the position taken by Vatican II. Clearly the council gave special attention to Eastern Orthodox churches, which until Vatican II were summarily ignored or feuded with by Rome, as in Orientalium Ecclesiarum the Eastern Church was acknowledged to have an antiquity, continuity, and ecclesial validity rivaling Rome itself. Regarding Protestant-Catholic relations, Lindbeck argues that, despite of reports concerning numerous unintended consequences of Vatican II, the renewal of Protestant-Catholic relations remains very much an intended consequence of the council. Indeed, he argues that the placement of Marian dogma within the constitution on the Church was an important step along the road of ecumenical Protestant engagement and an important step away from pre-Vatican II Marian maximalism. Patterson argues that inter-Christian relations proposed by the council benefited Protestants the most (and perhaps most unexpectedly) with the “new spirit of brotherly appreciation for other religious points of view was to be seen, heard, and felt.” In marked contrast to the tone of Trent and Vatican I, where Protestants were labeled schismatics and heretics, Vatican II affirmed Protestants as “separated brethren.” Howard notes that Unitatis redintergratio allows Catholics to view non-Catholic Christians more favorably, while making clear to Protestants and Catholics alike that both sides were to blame for the events of the sixteenth century. The decree on ecumenicism affirms not only the fruits of the spirit to be found among Protestants, but also notes the ecclesiastical connections of these brethren. Thus, while Protestants are members of ‘defective’ churches, they are nonetheless members of churches, representing a fundamental shift in Catholic vocabulary used to define Protestantism. Indeed, as Lindbeck notes, there have at times been direct use of Catholic theology by Protestants following Vatican II, most notably when Protestant engagement with liberation theology has offered Protestant liberationists the opportunity to follow Catholic liberation theologians in citing the documents of Vatican II. Timothy George has gone so far as to argue that the increase in common martyology between Protestants and Catholics, including recognition Baptist Martin Luther King, Jr., points toward a “seed of the church’s unity.” Additionally, George has noted the “ecumenicism of the trenches,” which in the American cultural and political realms has allowed Protestants and Catholics to demonstrate a common ethical front on certain issues, despite the continued existence of theological differences. 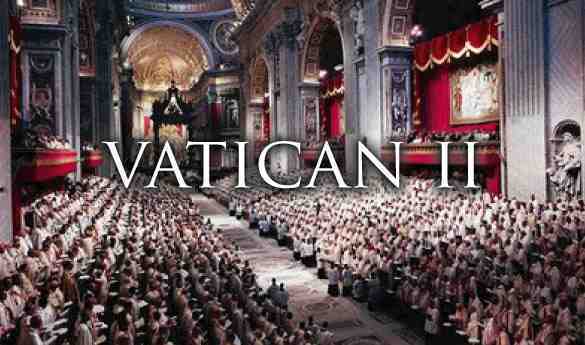 However, not all Protestants have engaged Vatican II’s position on non-Catholic Church’s so positively. Duncan notes that continuing Protestant concerns with the immaculate conception and assumption of Mary remain roadblocks to greater ecumenical dialogue between Protestants and Catholics. Indeed, Duncan views the implementation and conception of Vatican II under Cardinal Ratzinger/Pope Benedict XVI as a step away from genuinely fruitful ecumenical dialogue. Thus while not all would affirm that Vatican II interaction with non-Catholic communions represents a dramatic shift toward unity, the theme of broad cooperation and ecumenical dialogue between Catholic and non-Catholic Christians has been affirmed as a positive tenet of Vatican II by Protestant scholars. Overall then, the Second Vatican Council’s remarks concerning the individual and ecclesiastical status of non-Catholics has been positively received by Protestants reacting to the council. Patterson, 12. Lindbeck. Ibid. Patterson, 12. Sproul. Howard. Patterson, 13. Patterson, 13. Lindbeck. George, Timothy. “Remarks at the Vatican.” At the Synod of Bishops on “The New Evangelization for the Transmission of the Christian Faith.” Vatican City, October 12, 2012. Electronic. Non-Paginated. Howard. Duncan, 8. Duncan, 8. Patterson, 13-14; Howard.